The City of Virginia Beach, in collaboration with the Alanton Civic League, completed a new pedestrian path into the neighborhood this Spring. 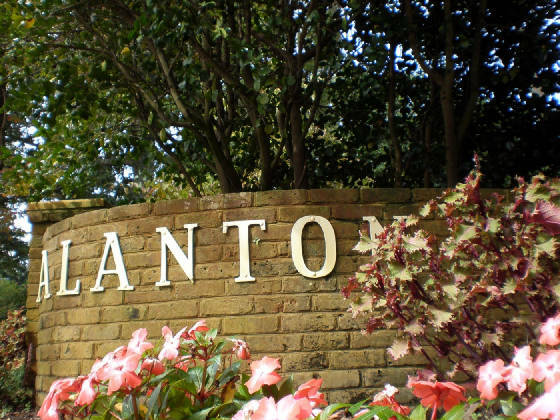 The residents of Alanton, North Alanton, and Linkhorn Cove can now safely exit and enter our neighborhoods via a newly constructed path and crosswalk. Read more about New Pedestrian Path Completed! Seventy-seven Nesting Boxes were donated and installed in the Neighborhood last Spring and Summer, with the help of numerous volunteers, including the Junior Civic League. Over one ton of food collected in Alanton and Sylvan Lakes and donated to The Food Bank of Virginia. Searched the Alanton neighborhood and took pictures of homes decorated for Halloween. The yard at 1412 Ashley would have easily won first prize and the yard at 1412 Whittier second prize. This website is a resource to the neighborhood Civic League and its residents.